The equities market on Wednesday depreciated by 0.79 per cent, causing the market capitalisation of the Nigerian Stock Exchange to fall by N71bn at the close of trading. This aggravated the poor performance since the beginning of the week, dragging down the year-to-date return on equities to -10.44 per cent. A total of 145.744 million shares worth N1.35bn were traded in 2,421 deals. The NSE capitalisation dropped to N8.83tn from N8.901tn, while the All-Share Index closed at 25,653.14 basis points from 25,857.06 basis points recorded on Tuesday. Similarly, the volume of transactions declined by 23.18 per cent; while the value of transactions advanced by 49.17 per cent. The market breadth was negative as only six gainers emerged while 33 declined. Fidson Healthcare Plc, International Breweries Plc, Union Bank of Nigeria Plc, Ecobank Transnational Incorporated Plc and Africa Prudential Registrars Plc were the top gainers for the day, appreciating by 4.88 per cent, 4.68 per cent, 3.37 per cent, two per cent and 1.15 per cent, respectively. On the other hand, 7UP Bottling Company Plc led the decliners, having shed 9.74 per cent to close at N129.36. This is followed by Transcorp Hotel Plc, Paint Company Plc, Transnational Corporation of Nigeria Plc and Forte Oil Plc, which share prices depreciated by 9.66 per cent, 9.52 per cent, 7.59 per cent and 7.43 per cent, respectively. Sector performance as measured by the NSE sector indices revealed that all sector indices trended southward save for the industrial sector, which appreciated marginally by 0.08 per cent. 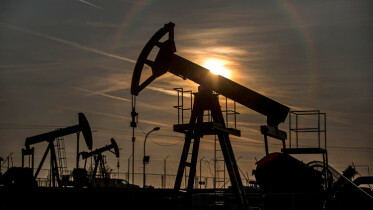 The oil and gas sector dropped by 1.79 per cent; financial services sector dipped by 1.23 per cent; the food and beverages sector declined by 0.95 per cent; while the insurance sector depreciated by 0.31 per cent. Commenting on the market performance, analysts at Meristem Securities Limited said, “The equities market has traded negative thus far in the week, and we do not anticipate a significant change in the prevailing mood in the remaining days of the week. Meanwhile, the interbank call rate moderated 16 basis points to 25.17 per cent amid relatively unchanged system liquidity. At the foreign exchange interbank market, the naira depreciated by N0.25 against the dollar to close at N305.50 in the spot market whilst the one year forward remained unchanged at N355. 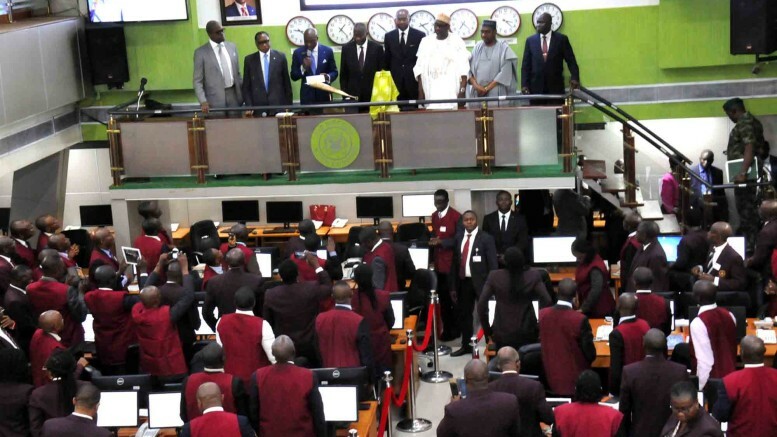 At Wednesday’s Treasury bills Primary Market Auction, the Central Bank of Nigeria sold N37bn, N34bn, and N87bn on the 91-day, 182-day, and 364-day bills at respective stop rates of 13.99 per cent, 17.40 per cent, and 18.70 per cent (effective yields: 14.50 per cent, 19.05 per cent, and 22.99 per cent). Also, the Debt Management Office conducted its monthly bond auction with N95bn on offer across five-year, 10-year, and 20-year bonds. Eventually, the DMO sold N5bn, N14bn, and N20bn each on the five-year, 10-year, and 20-year notes at respective marginal rates of 15.48 per cent 15.98 per cent and 15.95 per cent. Be the first to comment on "Market Index Dips by 0.79%, Investors Lose N71bn"